There’s a lot to love about Indian weddings. 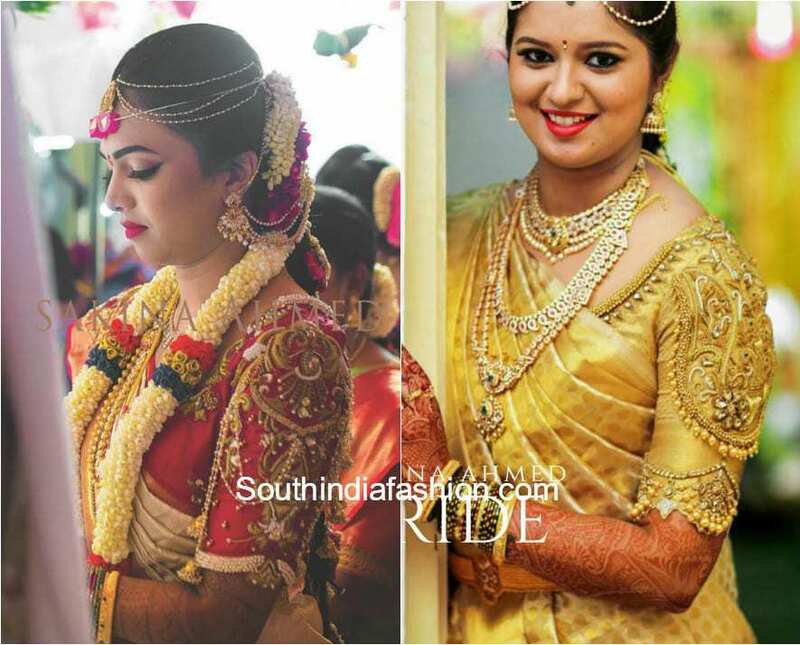 From Indian wedding traditions, rituals, wedding trends and lots more. 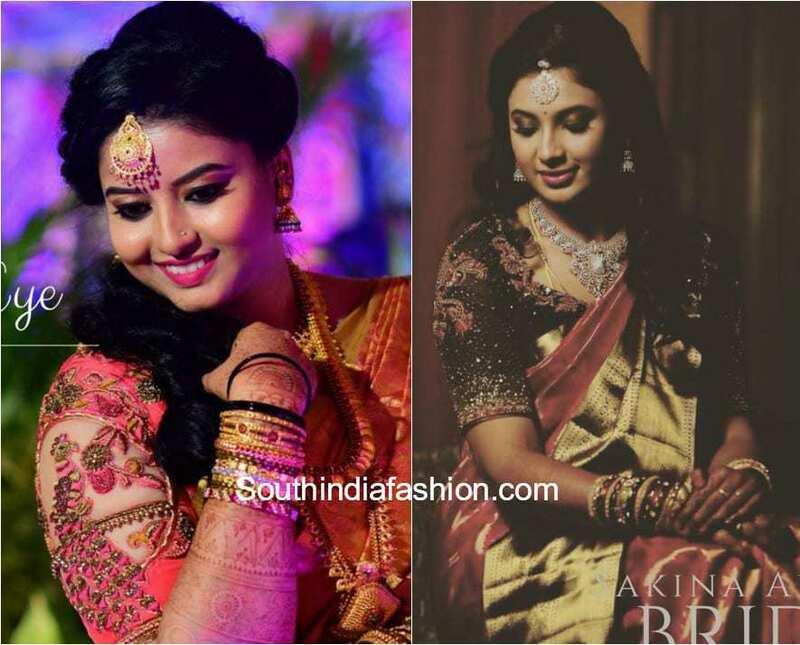 But the first thought which comes to our mind when we think of Indian weddings are the beautiful outfits we get a chance to flaunt. 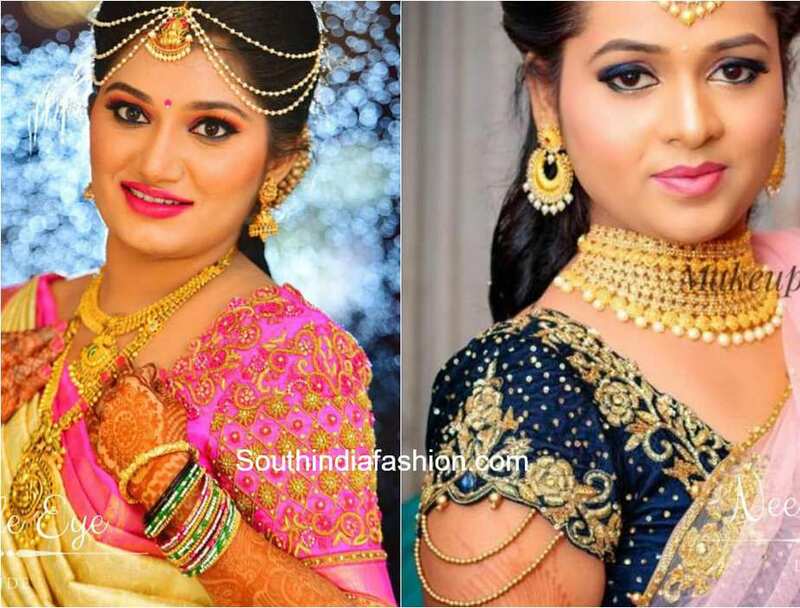 Indian weddings are a grand celebration and we all love to dress our traditional best as we get to meet all our near and dear ones and of course show off our one of a kind outfits to make a lasting impression. 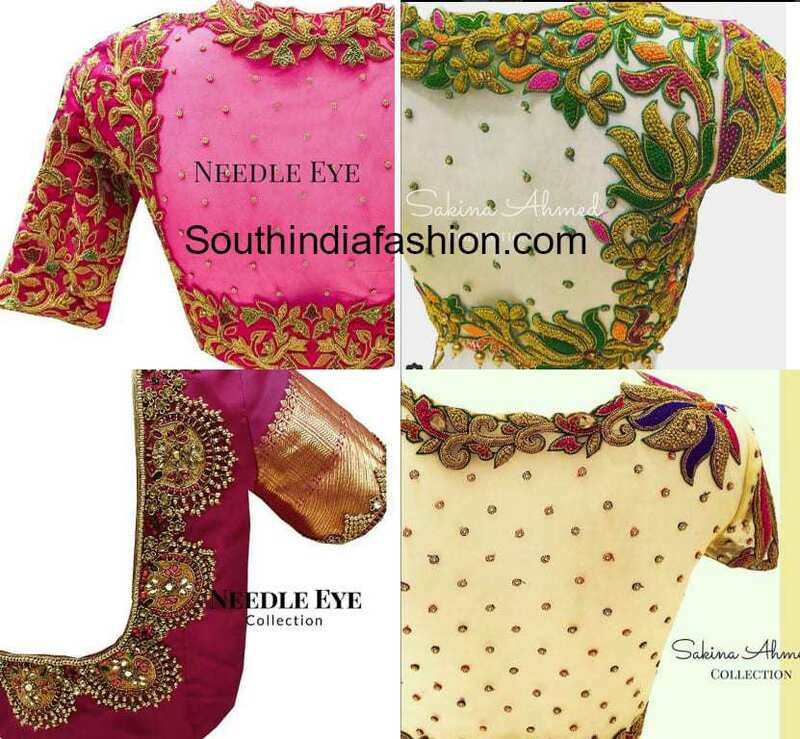 Talking about one of a kind outfits, today we introduce you all to this one of a kind designer label Needle Eye by Sakina Ahmed. 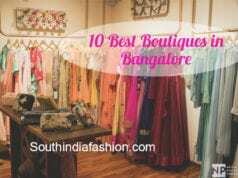 This boutique is located in Bangalore and Chennai and they customize all kinds of Indian outfits suitable to your needs. 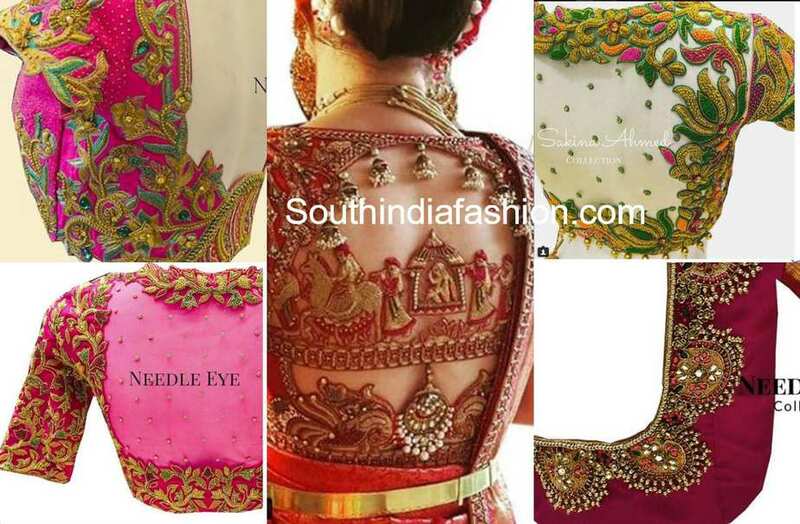 But what we simply cannot take our eyes off are the embroidered bridal blouses by the creative designer. From wedding baaraat embroidered blouse designs to blouses with Indian Gods and Goddesses, Needle Eye beautifully transmits glimpses of weddings, traditions, motifs of your choice, embroidery designs and concept story telling on your bridal saree blouses. 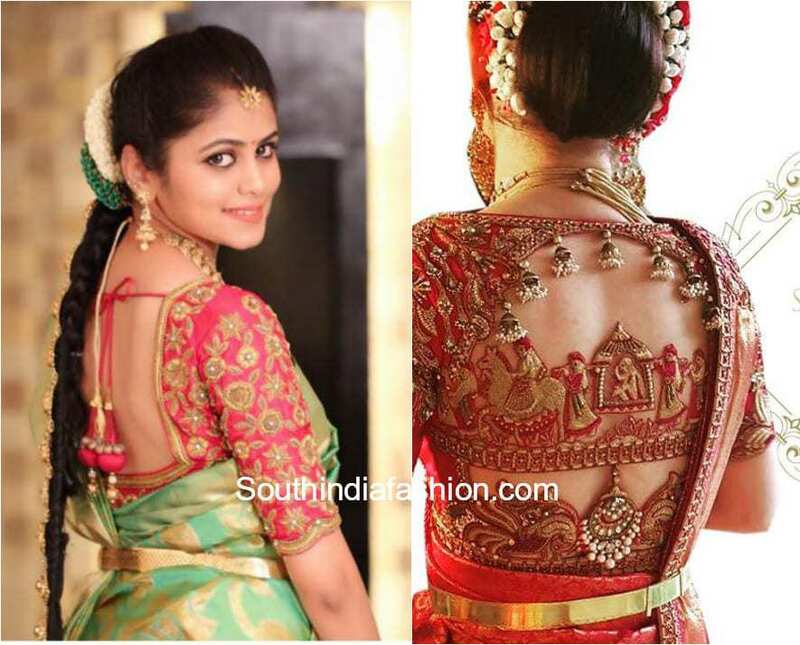 Take a look at the breathtaking designs that will leave you awestruck. 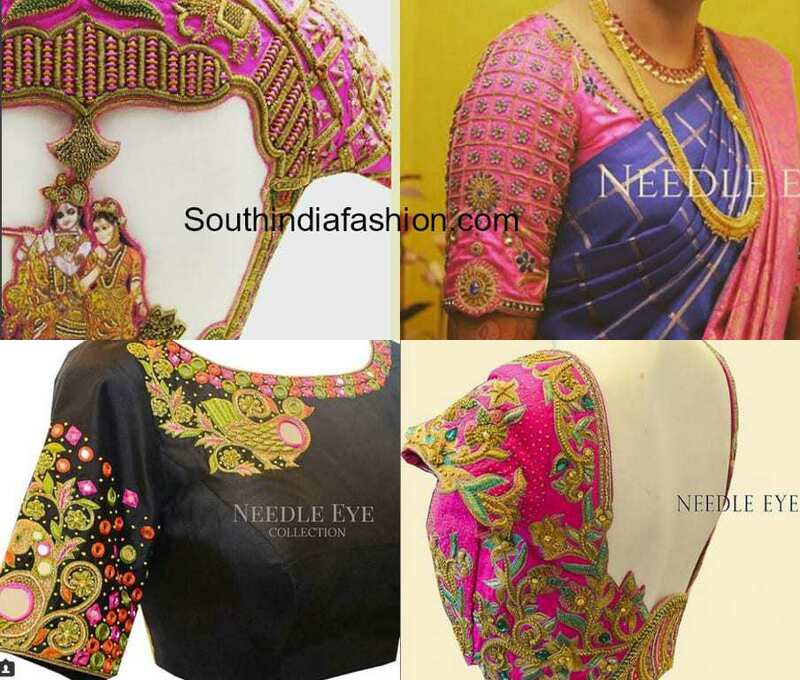 Needle Eye Boutique features all kinds of embroidery like aari, zardosi, stone work, applique work, maggam embroidery, applique work and simply name it and they can do it all. 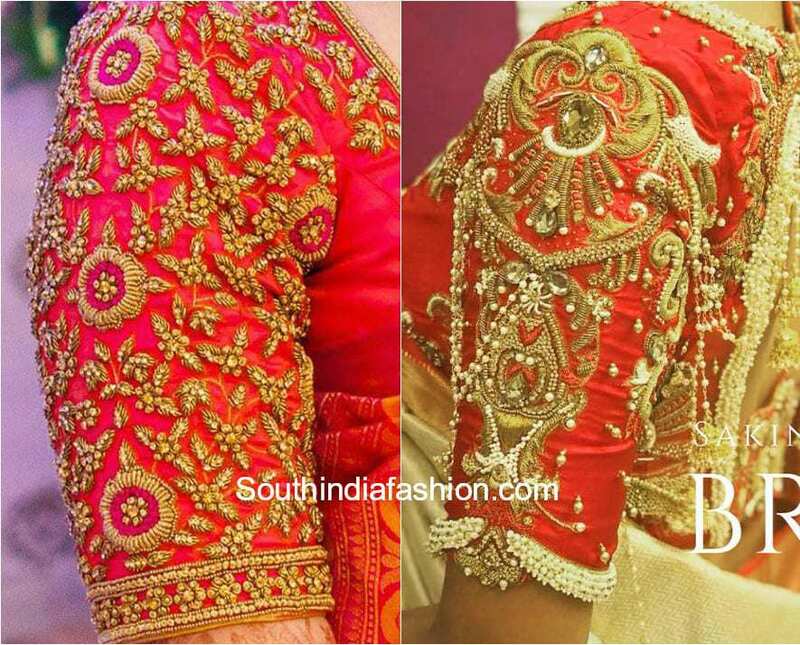 Bridal blouses are customized with intricate detailing and with the finest finishing specially curated for you big day. Designer Sakina Ahmed brilliantly designs the best and the most unique designs ensuring every bride feels and looks special on her wedding day. 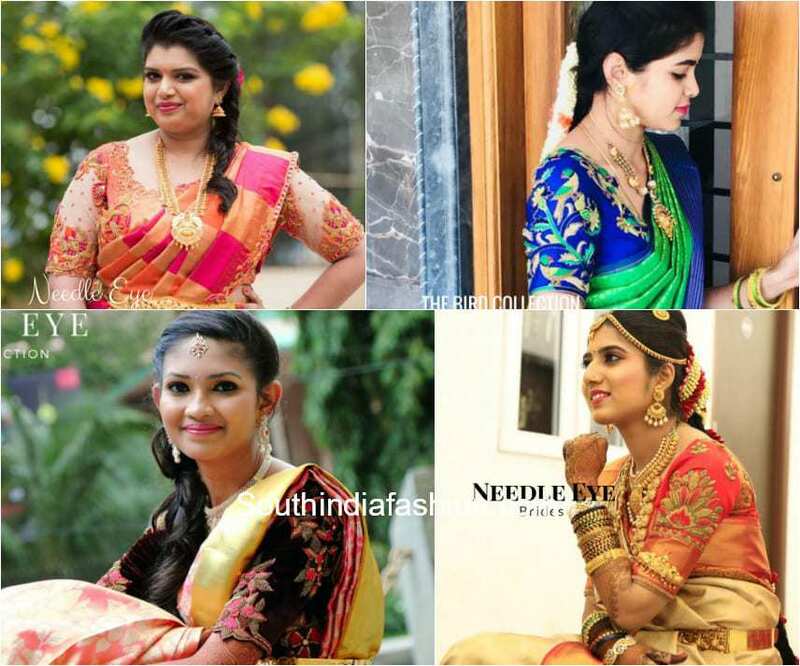 So be it any saree, designer or kanjeevaram saree, Needle Eye Boutique is the ultimate destination for all your bridal needs and undoubtedly one of the best for unique embroidery blouses. 5 Blouse Designs For Women With Broad Shoulders! 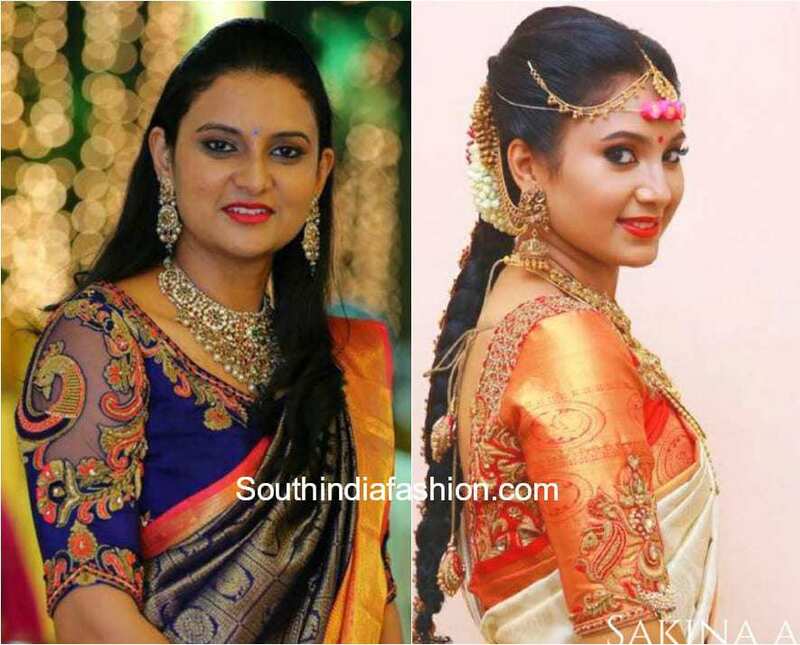 Our favorite blouses to go with a Banarasi saree! 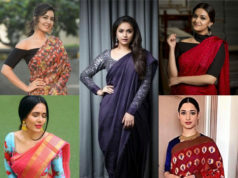 Five Blouse Styles That Go Well With Any Of Your Festive Sarees!